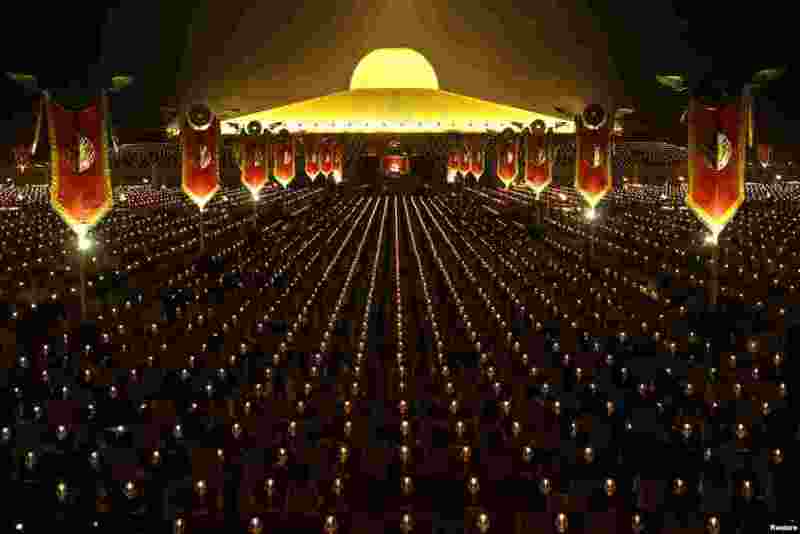 1 Thousands of believers join Buddhist monks praying at the Wat Phra Dhammakaya temple during a ceremony on Makha Bucha Day in Pathum Thani, Thailand. 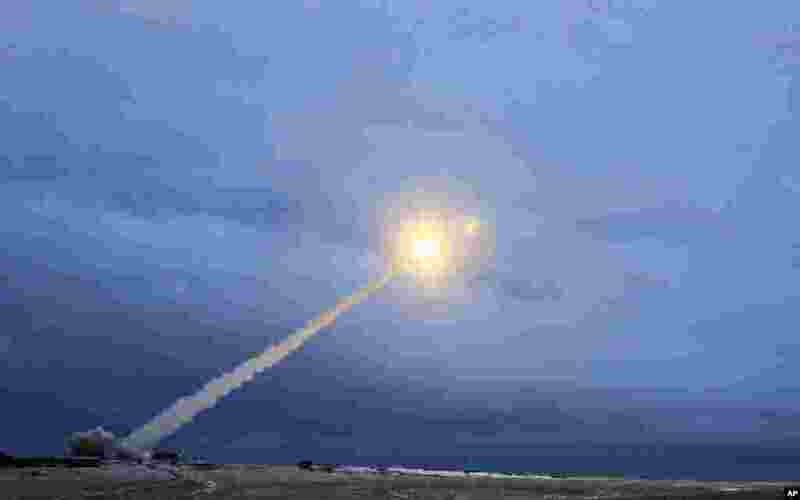 2 This video grab provided by RU-RTR Russian television shows the launch of what President Vladimir Putin said is Russia's new nuclear-powered intercontinental cruise missile. Putin declared that Russia has developed a range of new nuclear weapons, claiming they can't be intercepted by enemy. 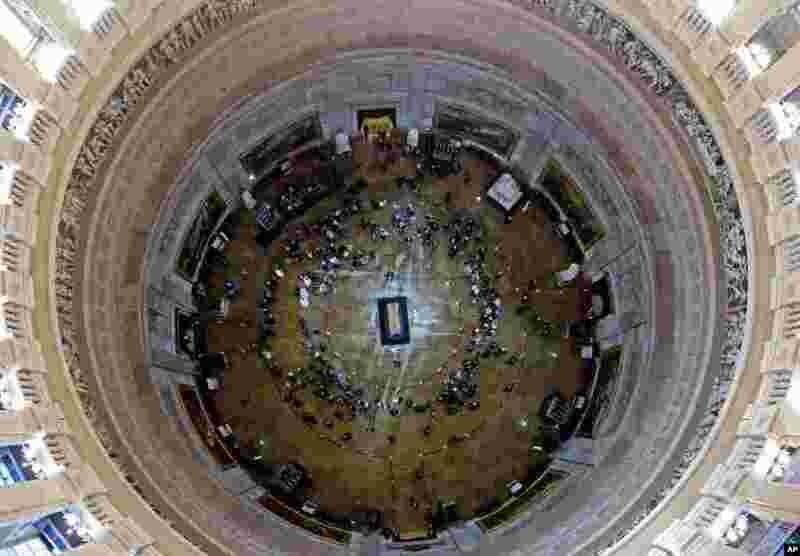 3 Visitors pay their respects as the casket of Reverend Billy Graham lies in honor at the Rotunda of the U.S. Capitol Building in Washington, Feb. 28, 2018. It's a rare honor for a private citizen to lie in honor at the Capitol. Graham died in his sleep at his North Carolina home. He was 99. 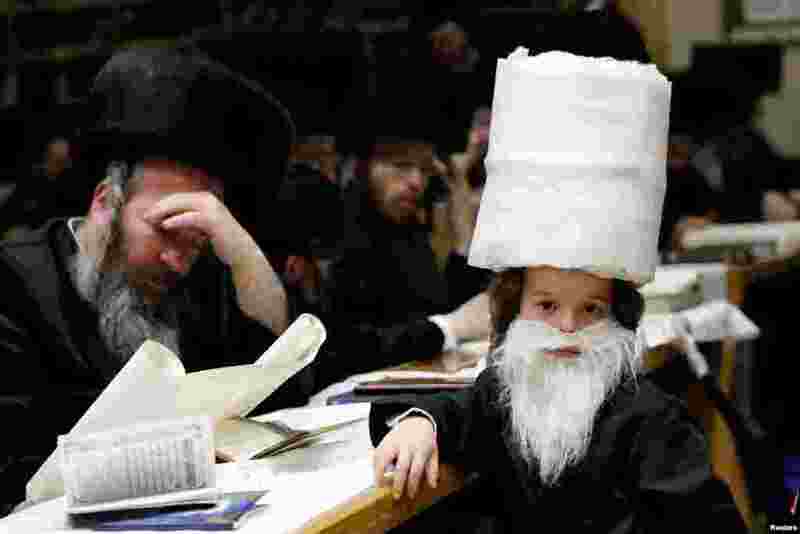 4 Ultra-Orthodox Jews take part in the reading from the Book of Esther, a ceremony performed on the Jewish holiday of Purim, in a synagogue in Ashdod, Israel, Feb. 28, 2018.